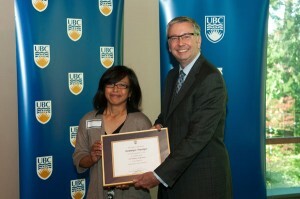 Seven staff members on the Vancouver campus received the President’s Staff Award in 2010. 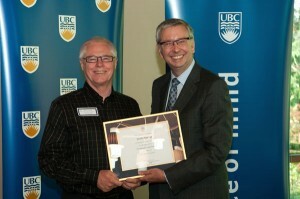 This award recognizes outstanding personal achievements and contribution to UBC in three categories: Leadership and Creativity, Enhancing the UBC Experience, and Global Citizenship. 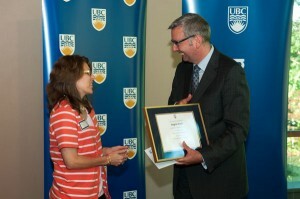 Recipients are nominated by their peers and colleagues and selected by an adjudication committee. Delivering customer service that makes day-to-day operations run seamlessly. 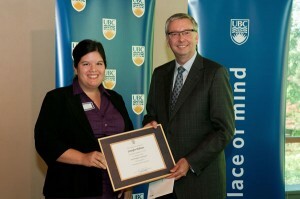 Exemplifying the important role staff plays in shaping positive staff and student experiences. Scheduling exams for 1,700 courses and 40,000 students with great diligence and consideration for students, faculty, and administrators. Effectively managing the technologies on which research, teaching, and administrative activities depend. What a department head said, “Dominique has, without doubt, enhanced the life of the English Department and of the staff with whom she works so supportively, the faculty members whom she assists so ably, and the thousands of students in whose behalf she spends all those hours, days, and months, and years designing and maintaining the sites so important to their academic planning and success. 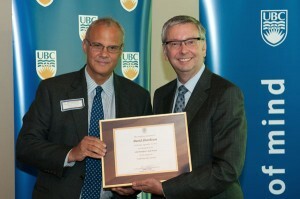 Making valuable contributions in biological safety to the UBC community and as an ambassador abroad. 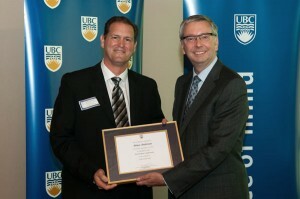 Leading the development of the brand strategy for UBC. 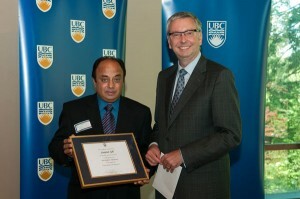 Leading by bringing out the best in people and developing effective working relationships to advance major UBC initiatives.